> Find him. Get him. Keep him. you always wanted to know about. Hi! 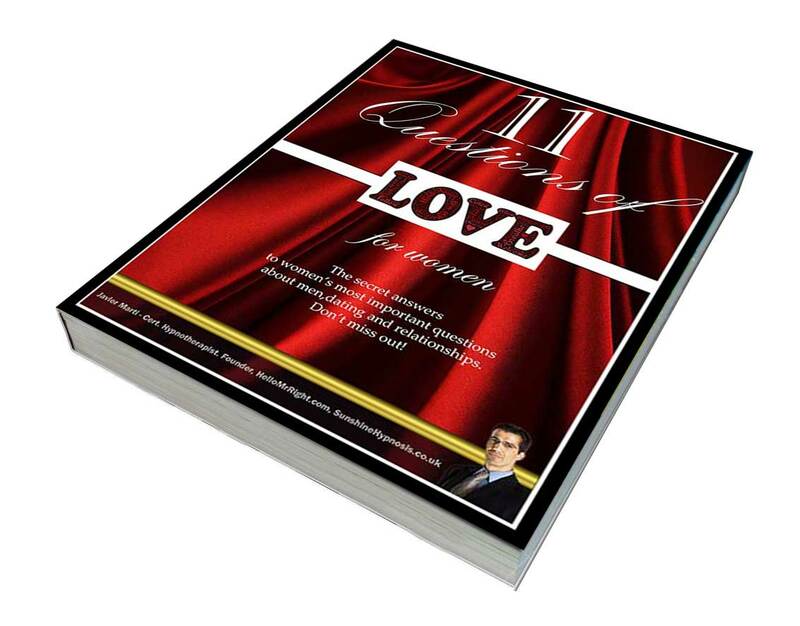 I am Javier Marti, hypnotherapist, relationship coach and author of “11 questions of love for women”. I can help you understand men’s psychology, find love and REIGNITE THE PASSION in your relationships. Attend a webinar (presentation over the Internet) to learn all the secrets about dating, men and relationships. Meet me on Skype for a chat about your personal situation, and figure out what to do going forward. 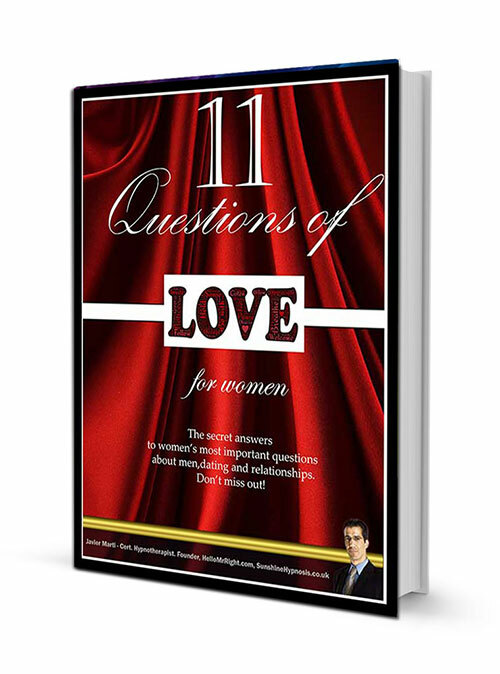 Get your copy of my book "11 questions of love for women" in print, Kindle and audiobook through Amazon. You have a right to have happy, healthy and long-lasting relationships, and this is the start of your journey towards that goal! ”I have been thinking about emailing you for the last couple of months actually- to say a huge THANK YOU. The confidence I grew in working with you has helped me so so much and I have made some massive changes in my life and as a result am happier than I have ever been. I started online dating as you suggested and met a lovely man called (X) who I now live with. We’ll be celebrating our first anniversary in two weeks! He is a farmer so we spend all of our free time in the country side walking our little dog who got 6 months ago-neverHe is a farmer so we spend all of our free time in the country side walking our little dog who got 6 months ago-never underestimate how happy having a dog in your life will make you! He is constantly making us laugh, his company is invaluable and it is such a joy to look after, train and watch him grow. He also loves skiing which terrified me as I had a nasty skiing accident and I had to have a operation on my knee. As you know I was also a very nervous flyer but he encouraged me to tackle it and I went to a ‘fear of flying’ course and we had a week of skiing flying over to the French Alps…and I LOVED it!! The flight was great as well and he was so supportive and encouraging the whole way. Sorry to sound like I am rambling on but I have been wanting to thank you for a long time as I really feel that none of the wonderful things that have happened in the last year would have been possible without the work you put in to helping me. I hope you are well Javier and thank you so much again. Getting a man for a one-night-stand is not difficult. But are you attracting the kind of TOP quality man that you want and deserve or you’re having to go through the disappointing 80% of low-quality men out there? I’ll teach you to get and have great relationsihps with the TOP QUALITY 20% of men you really want in your life, so you can choose one for you. There is no point in even considering the others…but attracting and keeping a great man is an art. I can teach you the secrets of that art. Discover what men really say about women behind closed doors, and what they are really afraid of. It’s not what you think! Discover what are the biggest lies that you have been told by society about men and relationships and what you can do about it. Why doesn’t he seem to be interested? Why did he say he would call if he didn’t intend to? Why is he running “hot and cold”? Why did the relationship really end? Or perhaps you are already with a man, but there is “something wrong” with the relationship, and you don’t know exactly what it is? Perhaps you have felt many times that he behaves in ways that don’t make sense to you – or that have hurt you in the past? Why did this happen? Why does he act “like that”? 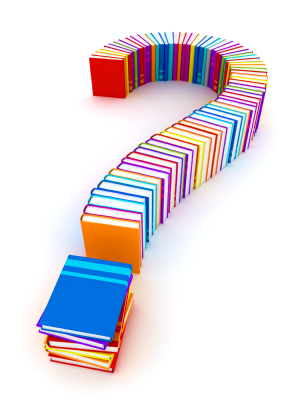 If you have ever asked yourself some or all of these questions… you are not alone. Now, think about it: you want to understand men, but are asking women about them. Although I am almost sure the advice givers – including friends and family – have the best of intentions at heart, even your nearest and dearest don’t always have the right answers to the questions you have about men, love and relationships. 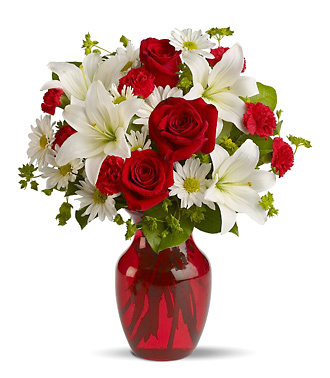 Easily transform your romantic life. See results in 7 days! You may have done some or all of these things…and yet still nothing seems to be working for you! But WHY is it not working? There are many reasons for this…but the main one is: “because asking another woman to give you advice on men is like asking a doctor what to do when your car is not working properly!” Granted, by mere chance the doctor might have some clue on what to do…but it’s always best to go straight to the person who understands cars best, and works with them all the time – like a mechanic. As you listen to what friends and relatives have to say, in many cases you end up making the same mistakes over and over again, because you are getting advice from people who don’t always have a healthy understanding of relationships themselves. They are not experts in how loving relationships happen…let alone how to know if a man is actually suitable for you in the first place! So now you begin to understand…but you may still be wondering why certain things have not worked in the past. You may have changed the way you look, the way you behave around men, even the way you think about men…and still time after time your heart is broken and you end up crying on your friends’ shoulder and listening to the same old advice. The fact is that if you want things to really change, you need to learn about the psychology of men, from someone that really knows about it not only as a professional, but also because he is a man himself. Someone like me that knows the theory of how it all works, has experience helping hundreds of clients and has been drawing conclusions from conversations with other males about why some women make them fall in love with them, and others don’t. You see, I have access to all the secret conversations between men…that you simply don’t by being a female. The reasons? Men change as soon as a female comes into the room, and there are things they would never tell you. And yet, those conversations they have with me contains the real keys to getting to a man’s heart! In any case, you have come to the right place. There is a solution for your love and relationship problems. There is hope for you…in the information I have to teach you. Everything you have ever thought about relationships and men is about to change forever! Once you learn what I’ll teach you, NEVER again will you have the feeling that things are out of your control in matters of the heart! You CAN take charge and you CAN be in control of your love life, when you have access to the information I am going to give you. As an Hypnosis Motivation Insitute certified Hypnotherapist and the Director of the fastest-growing Hypnosis organization in the UK, SunshineHypnosis.co.uk I have many years of experience helping women in various situations find themselves and achieve what they are looking for in love and in life. These clients of mine have gained a powerful new sense of self-love and a much deeper understanding of relationships and men in general. With my help they have learned how to get rid of their confusion and go on to enjoy their romantic and sexual lives to the full. Now you can benefit from the same valuable information, in a much shorter period of time and at a much lower cost. Whether you are you still dating or already in a relationship, there is something very valuable here for you. These techniques work. In one day I’ll revolutionize the way you feel about yourself, relationships and men, so before I start to tell you about what you’ll learn, let me give you my guarantee: if you follow my advice applying the techniques I teach you aren’t 100% satisfied, for any reason whatsoever, I want you to ask for you money back. Now a note of warning: if you’re looking for a way to spend a relaxing day away from the office, this won’t be it, but this is good. Indeed, after the 4h workshop, attendees – and myself – are usually really exhausted, in a nice way. The reason? I pack all my presentations with really interesting information, and you don’t want to miss any of it! Everything I give is really useful advice and information that will give you a whole new perspective on how men think, feel and behave. I will give you lots of easy-to-use, fully-explained, tried-and-tested techniques that you can learn and use right away. Not at all. It only means that you are a wise woman who understands the value of knowing exactly how a man’s mind works. It means that you are perceptive enough to see that the women that know the most about men have the best relationships and the least difficulties attracting men. It also means that you realize that the longer you wait to learn all this, the least chances of success you will have at a latter age, so it is important to learn the truth about men as soon as possible. None of these things have anything to do with “desperation”, and everything to do with being smart enough to take advantage of the latest advances and research in the psychology of modern men. Nobody would try to operate on a patient without going to medical school. Would you? There is nothing wrong about wanting to save yourself years of heartache and confusion. There is nothing “desperate” about wanting to have a better life and being smart enough to benefit from other people’s experience and knowledge. It is just the smart thing to do. Of course it will! Again, the problem with not knowing something is that you simply don’t know what you have not learnt yet. You don’t know how much better your relationship could be if you knew your man better. You don’t know how many misunderstandings and pain could be avoided if you understood your man better. You don’t know why exactly he does certain things he does and why you or him may sabotage the relationship later on. You may have a feeling that “you know”…but when you come to these events you’ll really get to understand what is going on in his head in different moments and how to have with him the best and happiest relationship you can possibly have. Some people can live without a partner, and that is great. However, it is a completely natural thing to want to find another person to share our lives with. This is one of the most important things we can do in life and something that will truly stay with us forever. We can ignore our natural drive to be with another human being. We can repress it, or lie to ourselves about it…but the experience of true love and companionship and support that a relationship can give is one of those few things that make life truly wonderful! This is one of the greatest misconceptions out there today. Unfortunately, many women have a simplistic view of men and this leads them to make the same mistakes over and over again. The results? Difficulties to find “the one”, an inability to enjoy long-lasting, happy relationships, and many associated problems such as anxiety, stress, depression… If you think that you know all there is to know about men, that’s great. But maybe you don’t. And in that case, men won’t tell you about it. After all, we all know that men are not the best communicators, right? Indeed, when you make a mistake with a man he’ll just move on and you’ll never know why it happened! That’s why I created HelloMrRight.com. To give you all the answers that you need to REALLY figure men out once and for all. In my events and coaching sessions you will also learn how to bridge the gaps in the “language differences” between you and him so that you can have the relationship you truly desire, and much, much more… There is a way to be really successful in love, if you know how…and I am here to show you that way. It is an exciting multimedia presentation is packed full of useful information on how men think and behave. It will give you a fantastic overview of the male psyche, the problem with modern relationships and what you can do to be successful in love. In one hour I am going to teach you the secrets to a man’s heart, and how to keep the man you may have already found. Connect better with men of all ages, without trying! Get better results, starting today. You won’t get this information anywhere else. Book your place now and change your relationships forever. Once you truly “understand men”, it is easier to get love and commitment from them. Over the years I have interviewed clients, friends and acquaintances and received and compiled honest information from men of all ages, races and backgrounds…and now I can share the results with you. 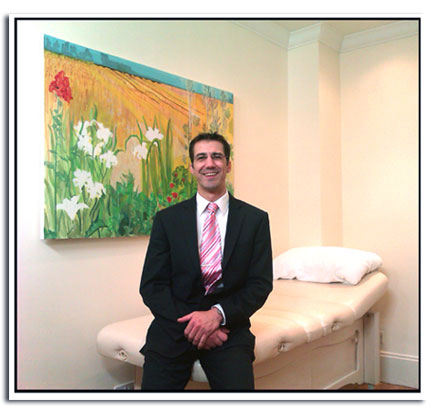 As an experienced hypnotherapist, I have met hundreds of female clients. Thus, I have come to really understand what women want, look for in a man, and the challenges they face on their path to love and happiness. I have made these presentations with the aim of giving you exactly the information that you need. I am here to save you the hassle of telling me everything about your life before I can help you. I will also save you from paying considerable amounts of money on individual therapy sessions with me. All of my accumulated experience and dozens of case studies from many years in my profession have given me a great insight into how to help women like you help themselves, by opening the curtain and letting you see the real world of men…and how they think and feel. Book your place in our next presentation or workshop and begin to make the most out of your love life. Just a final note: much as I would like to serve everyone that needs this information, there are limited places available, so please book early to avoid disappointment. There are many women around the world that want access to this information, but the technology for delivering it and my personal time allow only to connect to a few hundred clients at a time. I hope you will be one of them! This is the best relationship advice you’ll ever get. This is relationship advice…that really works! As a graduate of the most reputable Hypnotherapy school in the world, the Hypnosis Motivation Institute, Javier is a leading Hypnotherapist and founder of SunshineHypnosis.co.uk, one of the fastest-growing Hypnotherapy organizations in the UK. Javier is an expert in all things related to the subconscious mind including how we learn, how we understand our reality, and how to successfully adapt to change and learn to live a happier, healthier and more successful life. Javier is a keynote speaker, founder of HypnoticSales.co.uk published author several books including “The Happening of Happiness”: how to be happy and get rid of depression in an unhappy world” and “11 Questions": The secret answers to the most important questions women have about men, dating and relationships.